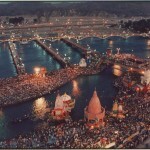 Holy City Of India ! 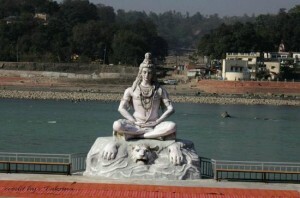 To be found in the heart of town, is the most famous bathing ghat, where most pilgrims take a holy dip earlier than they visit the various temples. This is done generally in the early mornings, with the pilgrims offering prayers and milk at the Ghat and feeding the fish in the water. 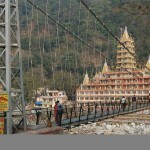 2 kilometers from Swarg Ashram, is the well-known Lakshman Jhula a suspension bridge 450 feet long and built in 1939. 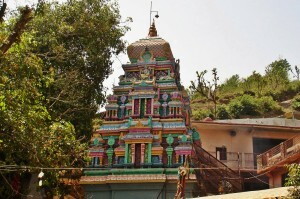 Named after Lord Ram’s younger brother Lakshman, it has temples dotting its either side, including the famed Lakshman Temple at Tapovan. 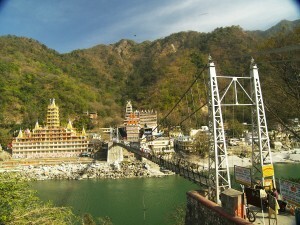 To be found at a distance of 12 km from Rishikesh, this temple stands at a height of 926m on top of a hill across the river Ganga. 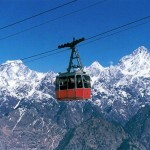 It derives its name from Lord Shiva. According to mythological belief; the cosmic churning of the oceans (Sagar Manthan) for the potion of immortality (amrit) by the Gods and the Demons.